From left: Alan Hughes, Scranton Area Community Foundation board member; Nicole Morristell, director, Leadership Lackawanna; and Laura Ducceschi, Scranton Area Community Foundation president and chief executive officer. 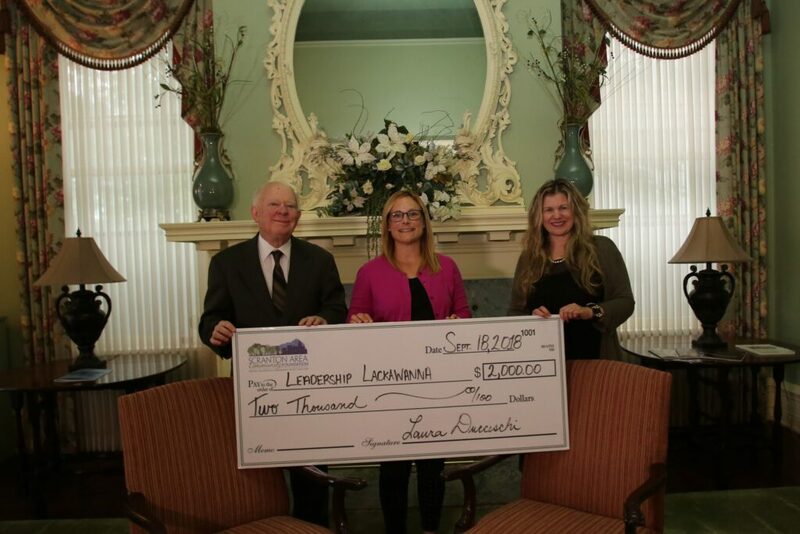 Leadership Lackawanna, the region’s premier community leadership and professional development organization, recently received a Scranton Area Community Foundation Community Needs Grant in the amount of $2,000. Leadership Lackawanna will use this grant to help offset the costs associated with consulting services related to the organization’s new three-to-five-year strategic plan. This plan will help determine the organization’s future growth. The Scranton Area Community Foundation makes grants to foster good ideas which have the potential to strengthen our community and enrich the lives of the people of Scranton and Lackawanna County. These grants fund a wide range of non-profit programs that respond to a particular community need or issue and must enhance the quality of life in Lackawanna County. For more information, visit www.leadershiplackawanna.com.